Chris Industries offers a variety a variety of sizes of K-Style gutters. 5", 6", and 7" K-Style gutters are roll-formed to custom lengths. Other sizes such as 4" and 8" are also available in 10' sections. High Back and Straight Back gutters are also available in 10' sections. 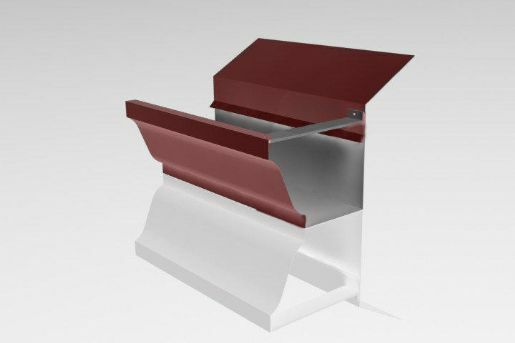 Gutters are available in Copper, Freedom Gray Copper, Mill Finish and .032" Kynar painted Aluminum, galvanized, and 24 gauge Kynar painted steel.